Today’s modern home is a mix of styles, with DIY taking center stage. Homeowners have taken to being more creating in the home, using DIY Materials to create installations in the home. From feature walls to furniture, materials can easily be repurposed or something completely new made for your home. DIY projects can be simple to do and affordable, making it easy for you to update an area of your home. Below are a few ideas on installations you can try for the home, updating your space or completely changing the look of your favorite rooms. One of the most unique and popular ways to complete a DIY project in the home is with a feature wall. Repurposed wood, such as shiplap or barn wood is often used to create a feature with one wall of the home. The family room or bedroom is a great place to start. Let’s take the bedroom for example. If the wall where your bed sits has no windows, it would make a great place to create a feature wall. Old barn wood can be repurposed and cut into various shapes and then placed on the wall. You can run the boards horizontal or vertical, or even go a different way and create a herringbone pattern. The wood will create texture in the space as well as create a focal point in the space. Along with repurposed wood, other materials can be used to create a feature wall. Fabrics and wallpaper are also great choices. Focus on one feature wall in the home and get started, trying new ideas for other walls in the home once the first project is complete. 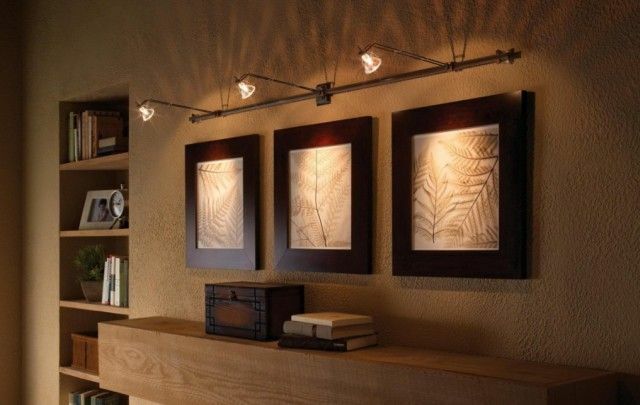 The artwork you display in your home can also be of the DIY variety. Many homeowners want to create a space that reflects their personal style. For many, this means getting your hands dirty and creating your own artwork. Big canvas prints created by you are a great place to start. Be creative and do your own silhouettes of your children or even pets. This can be done with a projector and lighting, then using black paint on a canvas. DIY videos make it easy for you to create your own artwork. Like a more natural look? Go outside and see what you can find. Frame unique leaves or create a shadowbox with your favorite items such as acorns, sticks, leaves, flowers, etc. You can create masterpieces based on what you love and display these items in your home. Think outside the box when it comes to the artwork. Think about what materials you have around the home that can be used to make artwork pieces. The exterior of the home is the first area that is seen by guests and of course, yourself. Having a beautiful exterior can make you proud of your home. The exterior of your home can easily be updated for a more stylish look. Today’s technology has created innovative ways to cover the home. From log siding to new vinyl siding, you can create a unique exterior look that has a texture or color. 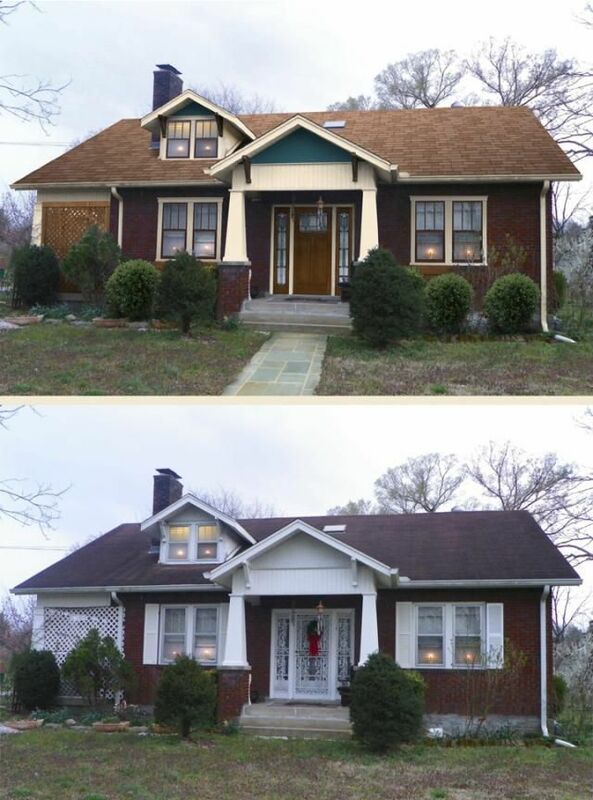 Siding can be added to most any home and creates a different look. The siding can be a neutral or a bold color, whichever design aesthetic works best for you. Choose a neutral and then add shutters of a bright color and match your front door. This is a great way to add a pop of color without going too drastic with the overall look of your home’s exterior. Another area where DIY projects are common is flooring. With so many flooring types on the market today, homeowners have a variety of options to choose from. 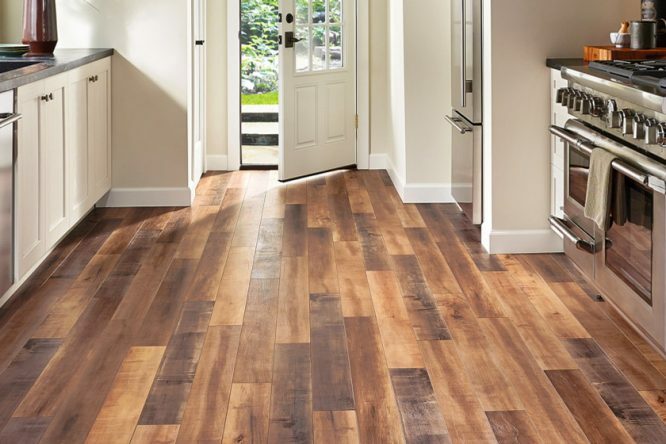 From wooden floors to lock-in vinyl, new flooring can be a DIY project that takes just a weekend. Depending on the existing flooring, you may be able to add new flooring on top. This takes away from time spent ripping up old flooring and then throwing it away. You can jump straight to the laying of your new flooring which helps you finish quicker. Whether you choose wooden flooring, laminate or vinyl tiles, there are DIY options available to you, making it easy to update an older home and enjoy a more modern space. Flooring can include a variety of colors, texture and style, allowing any homeowner to make changes with a weekend DIY project. With a flooring installation, you also have the freedom to be created. Take, for example, vinyl tile. You can choose to install the tile in a horizontal or vertical pattern, inserting varying sizes for a unique look. The same can be done with a wood floor installation. Wood flooring can even be installed in different wood tones or in a herringbone pattern for a more creative look. Play around with your layout to see what works best for your design aesthetic before beginning the installation. Another option for a DIY installation is to consider a wall accent. There are many ways you can dress up the walls of your home with specialized accents. Add trim work to create a decorative look or consider adding acoustic panels for a cool look but also sound control. A unique DIY project that includes fabric panels. Easily create panels for your walls by using thin plywood, batting, and your favorite fabric. This type of accent can be added to the wall for a dimensional feel and create a unique look in your space. Over time, you can take the panels down and add new fabrics, which can change the overall look of the room. Whenever you are tired of the panels, simply take down and you have plain walls once again. The panels can even be added to the walls and trimmed out with wooden trim for a cleaner look. These are just a few examples of how you can use DIY material installations to revamp your home. By being creative and thinking outside the box, you can think of ways to start DIY projects that will not only update your spaces but be fun to complete!